The Supreme Court today refused to stay the operation of new amended rules of the Union Health Ministry directing the manufacturers to have graphic warning images on packets of cigarettes and other tobacco products and helpline numbers for those who wanted to quit the habit. A bench of Chief Justice Dipak Misra and Justices AM Khanwilkar and DY Chandrachud refused to grant interim stay on Tobacco Products (Packaging and Labelling) Second Amendment Rules, 2018, which would come into effect from September 1. When Mukul Rohtagi said the people should have the right to choice and the new rules violated that right, the bench responded saying the "people also have the right to informed choice." It added that if the pictorial warnings provided the information, then there was no harm. Assailing the new rules, Mukul Rohatgi again said "If one eats chocolates, they run the risk of becoming diabetic which may lead to glaucoma." The tobacco firms, represented by Mukul Rohatgi, have approached the court against the recent Health Ministry rules. 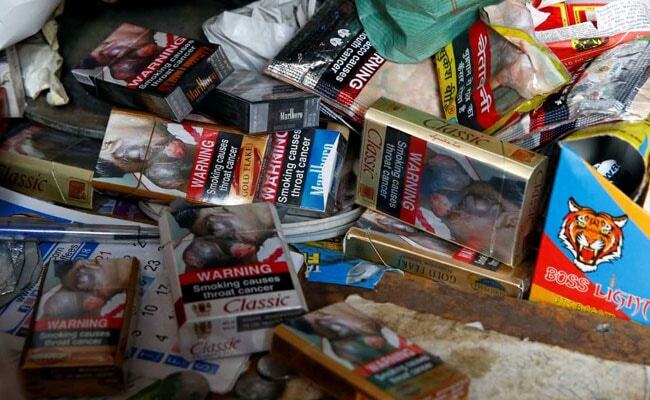 The top court court had on January 8 stayed the Karnataka High Court order quashing the 2014 government regulation that packets of tobacco products must carry pictorial warning covering 85 per cent of the packaging space.